To be able to play Pokemon Red you’d need atleast a Gameboy Color or Gameboy Advance AND the Pokemon Red game ofcourse… But, there are other ways to be able to play classic video games on your own computer, though 🙂 So here’s a little something for the new generation Pokemon lovers who are curious about the old skool classics. What better then to play them yourselves? The following might require a little computer knowledge. If you know how to install a torrent client I’m sure you’ll be able to handle this one as well. First off: All the files are zipped and you need a program like WinRar to unzip them. It’s the only thing you’ll have to install, if you haven’t already. Unzip all the files from the VBA and extract them into a new folder on your computer; label the folder VisualBoyAdvance for the convenience. Third: Once you’ve done all of that, you can download the old skool Pokemon games. 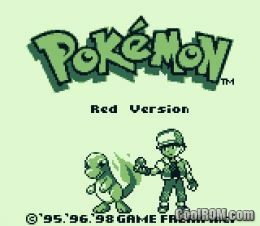 You can download many great classic Gameboy games for your emulator from Coolrom.com. I’ll just provide the links to download the Pokemon games for now. So ehm, download them, unzip them and extract them into the same folder where you’ve put the VBA in.And then all there’s basically left to do is; have Pokemon fun on your PC. For the noobs among us; here’s a complete step-by-step video tutorial on how to start up with the VBA and how to run the games, Windows users can click here. Greetings! This is my 1st comment here so I just wanted to give a quick shout out and tell you I genuinely enjoy reading your articles. Thanks also for Pokemon links, love it!! I’ve been looking for this Virtual Gameboy everywhere!!! And i am happy reading your article and with some games too! My kids wil love it! I will love it! Thank you much times!!! Also I wanna remark this; The web site is perfect, the articles is actually excellent :D.